Chrysler Canada today announced the 58 SELECTED dealers who will be the first representatives of the Fiat brand in Canada. 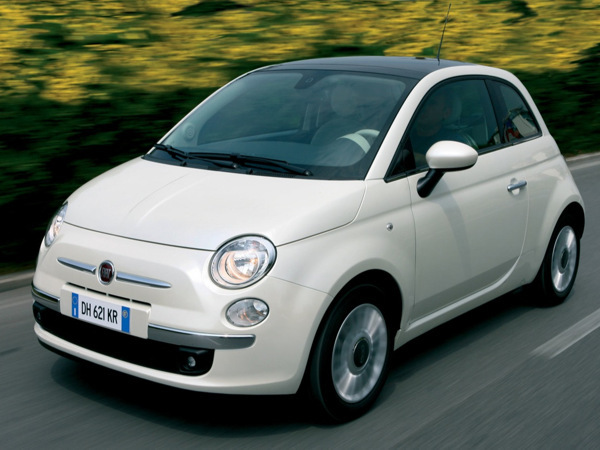 These dealers will be the first to sell the Fiat 500 (Cinquecento) 2012. Fiat brand announced its return to the North American market this week by the unveiling of the 2012 Fiat 500 at International Auto Show in Los Angeles. Combining the Italian style which is better for European technology, the Fiat 500 has been elected European Car of the Year 2008. The model 2012 is the team very thrifty four-cylinder 1.4-liter MultiAirMD Fiat . The production of the Fiat 500 will commence in December this year. The selection of Canadian dealers who will represent the Fiat brand is made based on their location, the development of a reserved area for Fiat and know-how proven expertise in sales and customer service. "We received many original and promising proposals from our Canadian dealers," stated Reid Bigland, President and CEO of Chrysler Canada. "Their innovative and exciting ideas prove they understand what represents the Fiat brand and bodes well for the successful launch of the brand in Canada. " Other dealers should be added to this list in the coming months to create a network of Fiat dealers a size suited to the market. A 00 h 01 November 23, Chrysler Canada will launch an online program for Canadians who wish to book a Fiat 500 which will be sold in limited number. A special series of 500 units of the Fiat Cinquecento (500) will be offered to customers www.fiatcanada.com. These vehicles Fiat 500 Prima Edizione will be cars with a unique collection numerote badge. You can learn more at the launch of the reservation system. Until then, customers can register to become a www.fiatcanada.com an "amateur Fiat" and receive the latest developments on the Prima Edizione.